All the following is my own slant on matters. If anything is incorrect I will gladly correct. I have no inside information except that available to everyone. So the changes at Tatnam are about to begin and by the end of March we should have a facility at Tatnam to hold on to our Southern Premier status. In addition to the improvement in facilities, the changes should help boost our matchday takings and maybe allow other revenue streams to help support the team. So what next? Assuming we make the C Grading by 31st March, then we can achieve promotion either automatically or through the playoffs. Once in the Conference South, we will then need another upgrade to Grade B by 31st March the following year. We are three promotions away from the Football League and each promotion brings puts more pressure on Tatnam. We have all see the outline plans for the new stadium as reported in the OHEC. The reports are that the Eddie Mitchell's stadium plans are for a 2500 seat Stadium. It is an interesting figure as the minimum seated requirement for the Conference National is 500 with a minimum total capacity of 4000. So a 2500 seater stadium looks to a future beyond the Conference. We have also heard that Tatnam, or somewhere close by is the preferred location. We would all agree. Bearwood would never be the best location, its only real benefit being that it is a greenfield site. So could a 2500 seater stadium be built at Tatnam. Of course it could. There is enough land to complete the project without impacting any more on the school but with the caveats on this years planning permission it will be difficult unless the council, school and wider community get tangible benefits from the overall facility. So if not Tatnam, where? Well it has already been muted that any scheme would include use of the Park and Ride and Creekmoor and that there is land out there that could be used. Land around Mannings Heath, Tower Park is a possibility but the big issue in Poole is water. The Borough is almost half covered by water and there is little spare land around. If we look in and around the Town Centre (yes the S word is coming) there is only the Stadium site. So lets have another look at the Stadium. Can we build a new stadium at the Stadium? Yes. Can it coexist with Speedway and Greyhounds? No. I have no idea what the lease on the Stadium is, how long Stadia UK have left but clearly the facility at Wimborne Road is underused, it is owned by the council and the entire site would make a wonderful leisure and sporting complex at the heart of the town. So looking at everything in the round, the new stadium is now likely to be in the town, not out at Bearwood. It is likely to be part of a larger complex that will include other sporting, leisure, retail, hospitality facilities and probably some kind of partnership between the Club, EM and the Council. 1. The pressure on School places over the next 10 years may mean that the land at Tatnam is needed for an expansion at Oakdale Middle School. With the length of the lease at Tatnam maybe it will be in the Council's best interest "assist" the club in finding a town centre home. 2. I cannot see a site like the Stadium remain underdeveloped and undeveloped so close to the centre of town. Two minor so called "sports" do not warrant a prime site in Poole. Whether either of these impacts the football club I have no idea. CTB - Not sure who you spoke to but there is frequent dialogue with the head and governors. The relationship is far better than you will remember from the time that you used to actually come and watch us yourself. Not sure what more you think we should or could do. 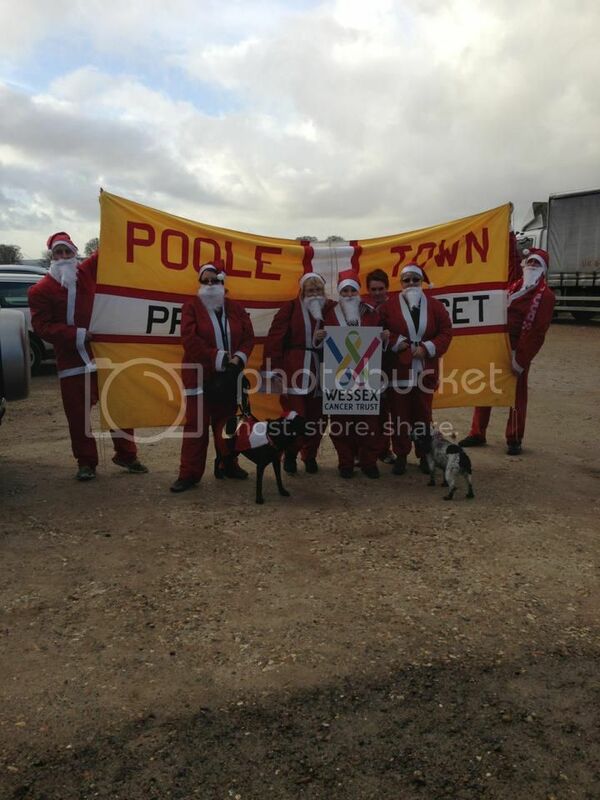 The Future is Red and White and somewhere close to Wimborne Rd!! These are very momentous times for PTFC fans!! First time i have seen a BOP tweet supporting us before a game,maybe EM is already stirring the pot? what about the land behind kerry products. This post is 4yrs old now BUT as Alice said "Curiouser and Curiouser"
New PTFC director is GM at Poole SXXXXXM! !